Author Lynn TulipPublished on 13th August 2015 18th January 2016 Leave a comment on Calling all children! Festival time is soon to be here and there's a lot for families to do. And all of it is FREE. We are grateful to sponsors and workshop leaders for their generosity. Please go visit them! On Saturday 19th September from 10.00am Kalli Kids will be running children's art and craft activities until 4.30pm in the Tiger Lounge, Tiger Rooms by All Saints Church. Jacqui Smith, from Homesmiths is offering an interior design session for children between the ages of 8 & 16. Booking is essential. Children under the age of 12 will need to be accompanied by an adult. Barratt Homes are sponsoring this event and Jacqui will be at the Sales Office, Heathwood Park off Gravelye Lane, Lindfield. There's a choice of four session from 10.00, 11.30am, 1.30 and 3.00pm. Don't miss one of them. All Saints Church will have a Lego exhibition and you will be invited to contribute by building more models depicting bible stories. Point4 have two workshops for different age groups on Saturday as well. 2.30 - 3.30pm for 5-10 year olds and 3.30 - 4.30pm for 10-14 year olds. Both these need to be booked in advance. Again there's no charge but registration is necessary. These will be in the William Allen Hall, Lindfield Primary School. 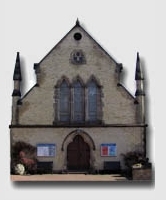 During the day on Lindfield High Street you can enjoy the dalek, Lindfield Plays, buskers and different performances in the United Reform Church and outside the pubs and Paolinos. Sunday 20th September has different workshops for children including Fitsteps, Popsteps, Swoove and two Voice Skills workshops for 5-8 year olds and 9-14 year olds. 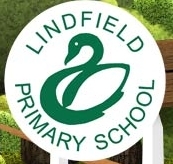 All these will be at Lindfield Primary School. 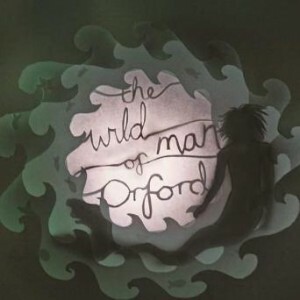 However, the highlight for Sunday morning will be the Wild Man of Orford Puppet Show based on a medieval folk tale and includes puppetry, live actors, live music and projected animation, suitable for ages 6+, in the William Allen Hall, Lindfield Primary School. Again, there is no charge but donations will be appreciated by the production company. We're very grateful to them for coming along and supporting our Festival especially after their recent success at Brighton Festival. I hope you agree that there's something for all ages of children. Watch out for what's going on for the adults soon.